Glad you like the lights, Charlie – they were fun to play with. And what’s this? A show that we’ve both seen!? I can’t cope with this! And thanks, R! It was really quite a superbly choreographed element, and fun to try and replicate. The music too, indeed – it was perfect across the board. Ooh! A shame about your friend, though, Millionaire was so big in stature that not doing particularly well could still mean a generous prize. I always felt most sorry for the ones who sat in the Fastest Finger First chairs and never got to play. That must have been a bit disappointing! Jacob, you are amazing! What awesome illustrations. Thank you so much for sharing your amazing talent with us. Sharon, you are amazing. Thanks so much for your kind and generous encouragement! Looks great. It made me want to phone a friend! Thanks, JP. The lifelines are there if you need them! Absolutely fantastic work Jacob! You’ve recreated millionaire in a beautiful fashion! You’re graphics are so crisp and clear – better than the actual show. Please do more Millionaire work and I bloody love the studio set! Thanks, Anthony! I’m not planning to do any more with Millionaire as yet, but I’m sure if that changes it’ll end up here. 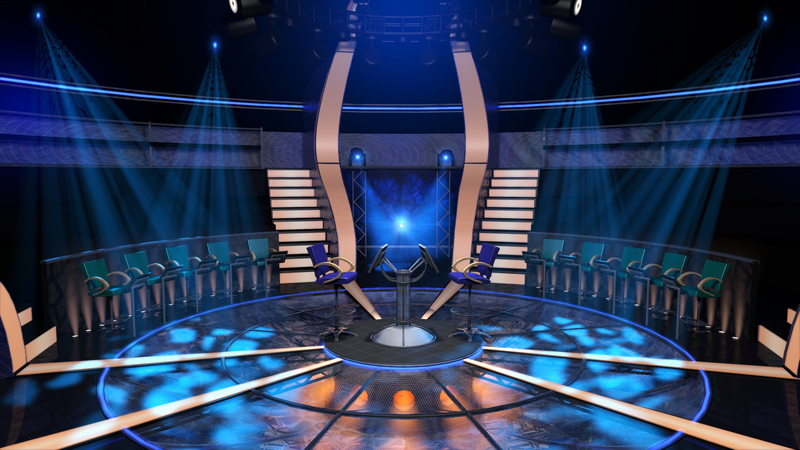 I wanted to know, by which software did u build your wwtbam set ? I’ve build my own on google sketchup which this one is almost finish, inspired by the french design. Do u think that I can do the same thing as your model, by importing my .fbx file on C4D ? Maybe If u okay, you can cooperate to shown me some tips and tricks ? Hello Christopher. Thanks so much for your lovely comments. I’m not terribly familiar with SketchUp or even .fbx files, but I know that you can convert models into .dae and import into C4D perfectly well, with all textures intact. Perhaps you can do the same with a .fbx. 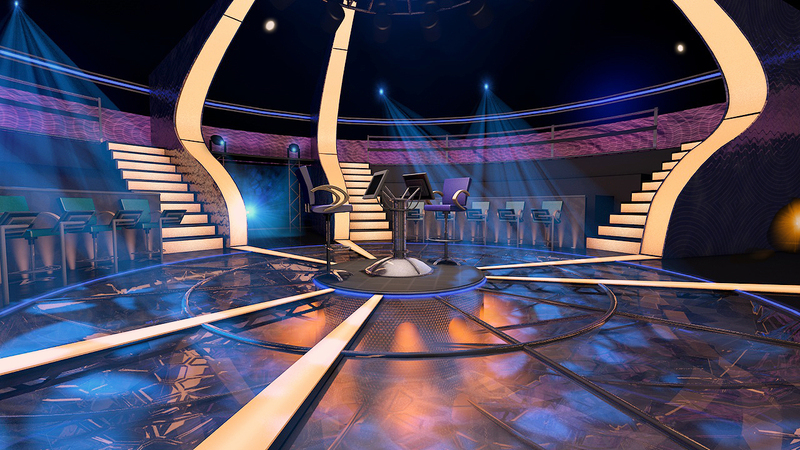 I’m no natural when it comes to 3D, but I would do my best to help if you’ve any issues – I’d also love to see your work on the French set if possible! Hey, thanks for this fastest answer ! Well, I’ve just importing into .dae on C4D and it works better than .fbx, thanks for this information ! You can also PM me via Yt for more informations and exchanges, if it’s possible…? Christopher, thanks for sharing these. Very impressive! Your spotlights are certainly looking slicker than mine, as is the lighting in general. Great work – I’ll certainly be keeping an eye on your channel! Sure, thanks for your support. This is the entire progression of what I’ve build for now. Fantastic. I’m so impressed by your attention to detail! Also, I wonder how you’ve done to descend the moving heads, I have some difficulties for this… maybe can I send you a .dae file, If you can solve this issue and tell me what’s wrong ? Hi Christopher – sure, I’ll take a look for you. Great work. I worked on producing the show in 99 a highlight. You should do some more with this, accomplished motion work. Wow, what an accolade! I can imagine it was a thrill to be part of something so enormous. Thank you for your lovely comment, Julian – should I do anymore with Millionaire, you’ll be sure to find it here! Hello Nathan, thanks very much. You’re not the first to make the chocolate comparison, and you’re not the first to make me want a bar as a consequence! Amazing work! I hope you don’t mind me using your images in my PowerPoint game template of Millionaire. After watching your lighting test again, I was wondering if you would be able to help me finish this game with either a couple more screenshots of your work, or short clips with the lights? And a very impressive PowerPoint, there! I’m quite happy for you to use my images – all I’d ask is that a credit and/or link to the original is given somewhere. I could probably render out a couple of extra images for you; I’d have to know more regarding video clips, as they can sometimes be troublesome (time-wise) to render. Great stuff. 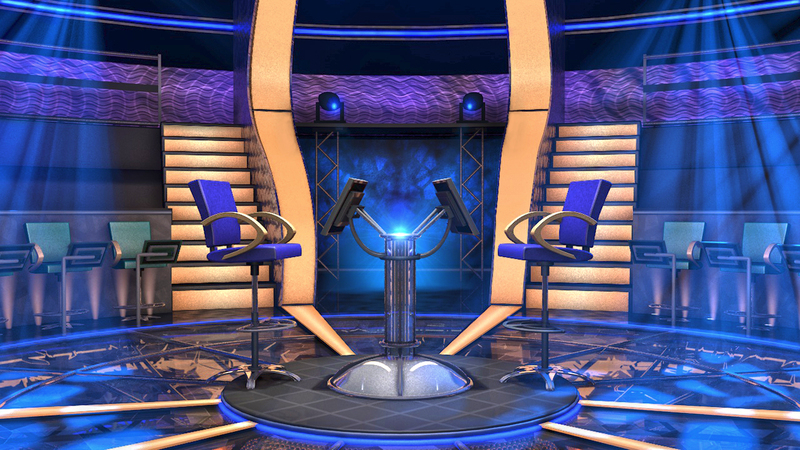 As it happens I once had a go at replicating the game show Countdown in PPT – so I can appreciate all the more the effort that has gone into these! These are fantastic. I’m making a comedy video spoofing Millionaire and found these via Google image search. Like the previous commenter, I was wondering if I could use your images or even your video graphic and green screen actors into them. I would credit you however you like, and I promise it’ll be funny. It’s also independent and non-commercial, by the way. I’ll check back here or you can email me. Sure, feel free to use anything you see here – if there are any other shots or angles you have in mind, let me know and I’ll see what I can do. As for credit, just a link to this site would be great. Big thanks for getting in touch. All the best with the video! 2. Delete the chairs, computers, and the pole that the computers branch off of (the circular segments underneath can stay). This is because I’m going to insert my own rickety table, monitors, etc. as a joke. 1080p would be better, but if only a 720p version exists, that’s fine. Thanks for considering the job, and I apologize in advance if I’ve accidentally lowballed you or assumed the simplicity of my requests too much. Brandon, thanks ever so much for dropping in and for your generous comments. That sounds fine to me – it’d be nice to see it put to use! All I’d ask is for an acknowledgment/credit in the final production. I’ll sort the model out a bit, and then get back to you via the e-mail you’ve used for this comment. Thanks again! Hello jaywalks, I am not sure my previous comment was posted so I am replying to this one which is relevant. I also need the c4d file and textures for a project in school. You and your site will of course be acknowledged. Would it be possibel for you to send it to me in the e-mail I used for this comment? Thanks, in advance and congratulations for your amazing work! Thank you, but I really think you should do your own school work! Great work! Can you send me the game? I have been waiting to play the game for a long time! Thanks very much. I’m afraid this isn’t a working game, just a 3D model.